I’ve been without internet access for 2 days now. Like dog years, 2 internet free days in Spain equal about 200 vacation years or possibly more if you add in the lack of phone access. So much can happen in two days. When Corey and I met up in Atlanta, he proudly announced that he was going unplugged for this vacation because he only had his iPad, his iTouch and his iPhone. There’s no correlation between my lack of internet and Corey’s definition of “unplugged” except that the one made me think of the other and Corey makes me laugh. And none of this has to do with the Alhambra so if you’ll stop asking me questions, I’ll post pictures! Geez… some people’s kids. How about this for starters? 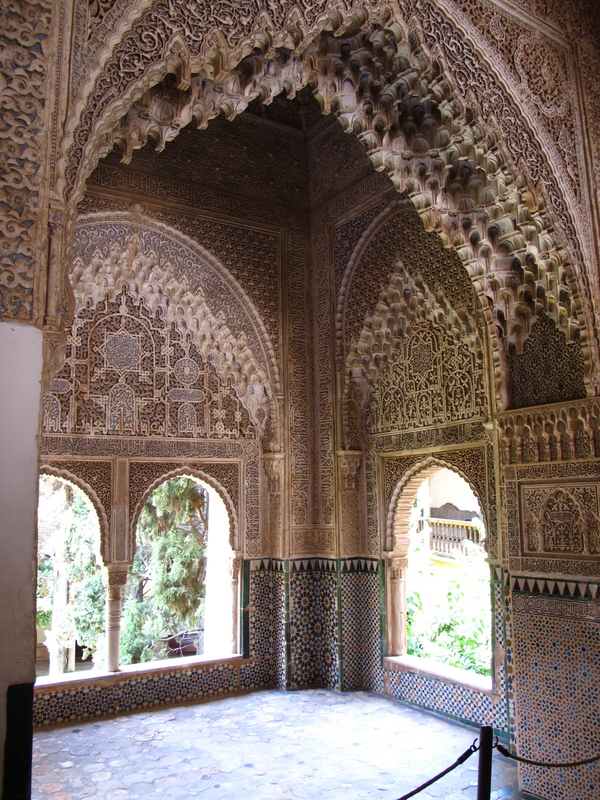 That’s the Court of Myrtles in the Nasrid Palace. I’m going to apologize right now for the quality of my pictures in this post and just say that I think I forgot how to use my camera. I took a billion pictures and so few of them are any good, or do any justice to this place. 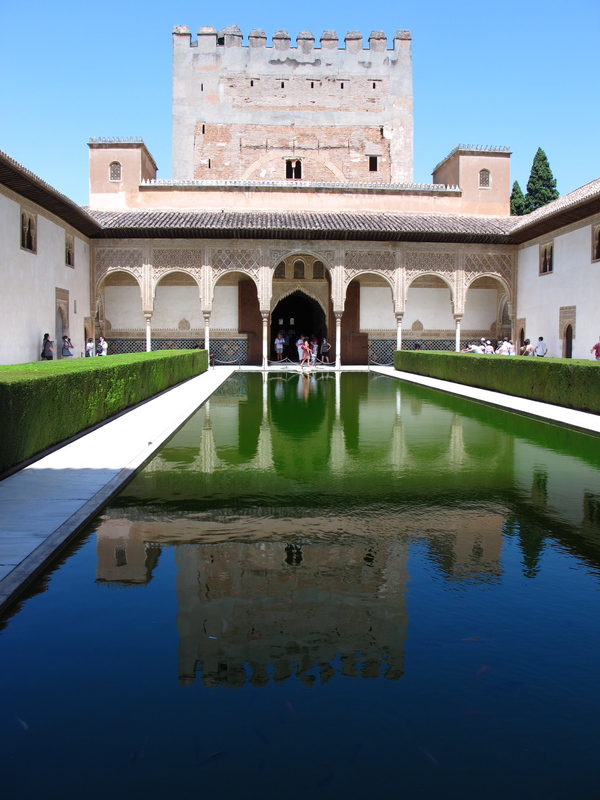 Despite what you may see, however, the Alhambra is Spain’s greatest Moorish palace built in the 14th century by Islam rulers and then taken over by Ferdinand and Isabella in the 15th century. 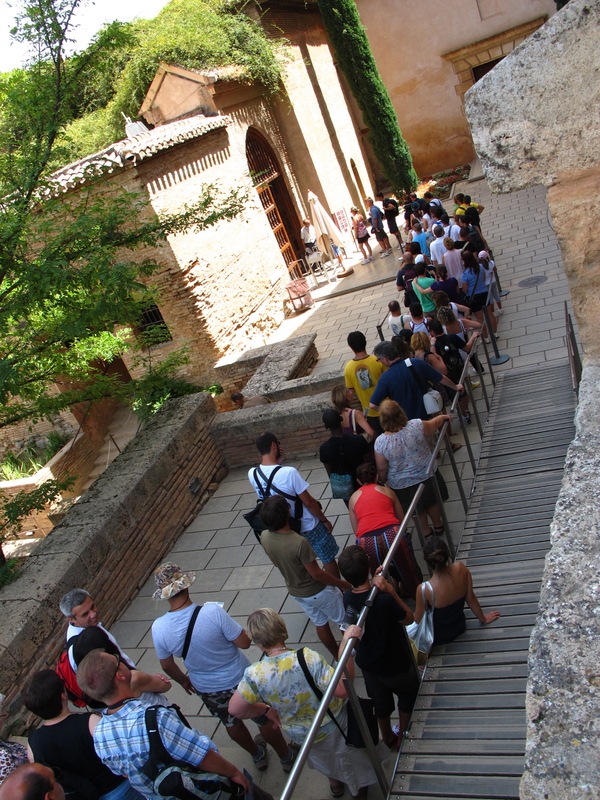 As a tourist attraction, it has one of the more rigorous entrance rituals I’ve encountered because they only allow 6,000 people into the Alhambra per day and only 300 people into the Nasrid Palace at a time. It’s such a popular location that they only sell 1,000 tickets per day to walk up visitors and the rest are advance sales. Chances are good that if I hadn’t bought my tickets online, you would not be subjected to my terrible pictures. Aren’t you lucky? Or something? 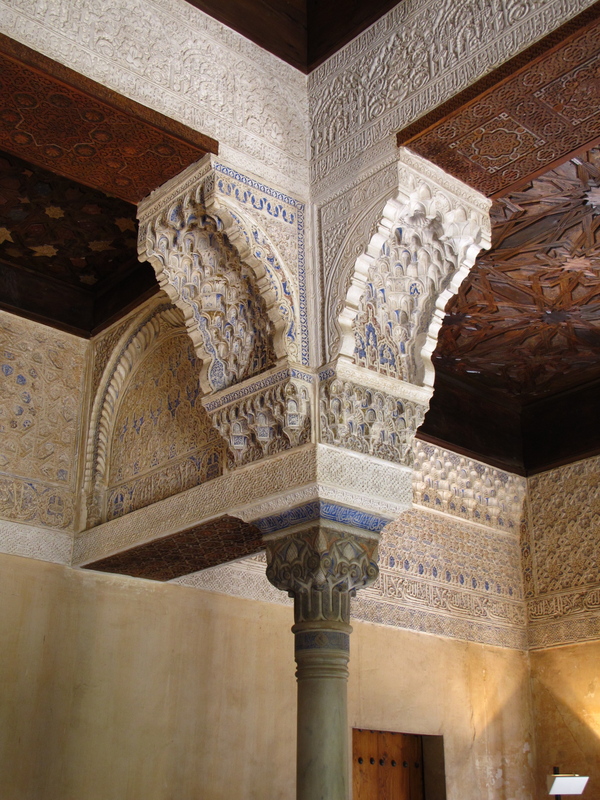 The palace is beautiful with every inch of exposed space covered with exquisitely intricate decorations stamped in plaster and carved in wood. You can still see traces of paint. It’s largely monochromatic now but apparently it used to be painted and gilded as well. 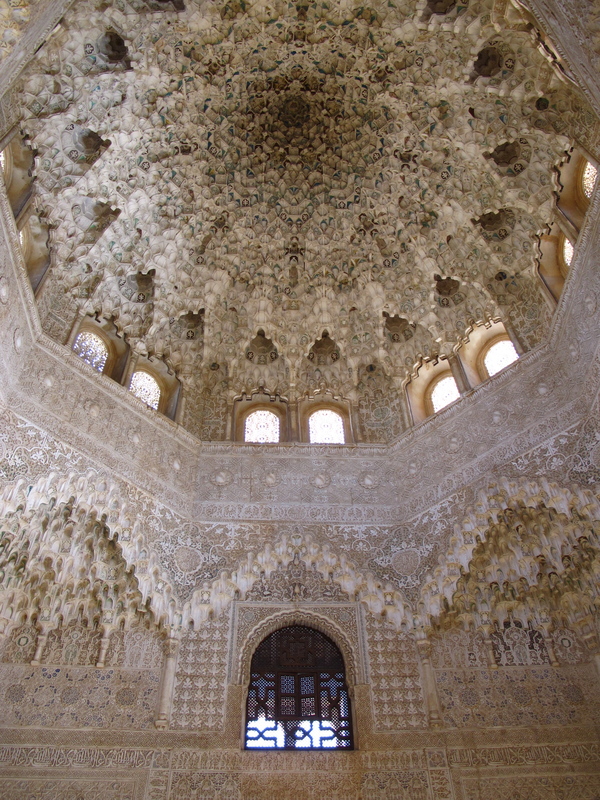 The craftsmanship in the Alhambra is overwhelming. I look at places like this and can’t imagine the amount of work, time and the number of people necessary to build something like this. Can you imagine this ceiling as a riot of color? 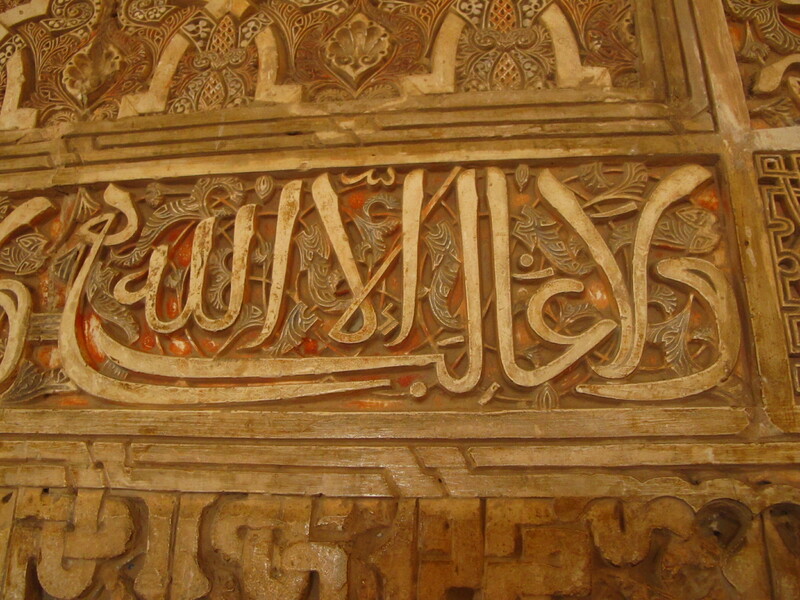 Which means “Only Allah is Victorious.” I find it interesting that Catholic rulers Ferdinand and Isabella took over this palace and renovated parts of it but didn’t disturb any of these phrases. Maybe their interpreters neglected to fill them in on the meaning? or perhaps their aesthetic senses took over. 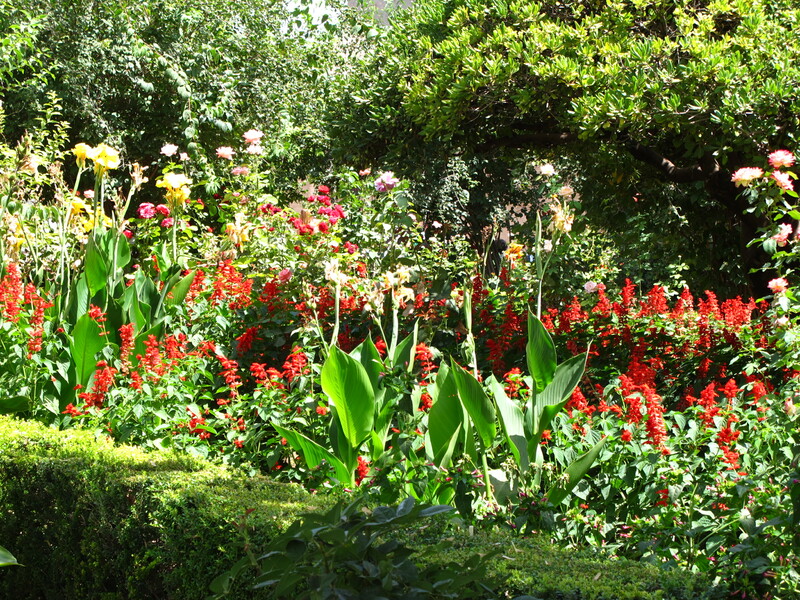 The gardens are equally as beautiful. 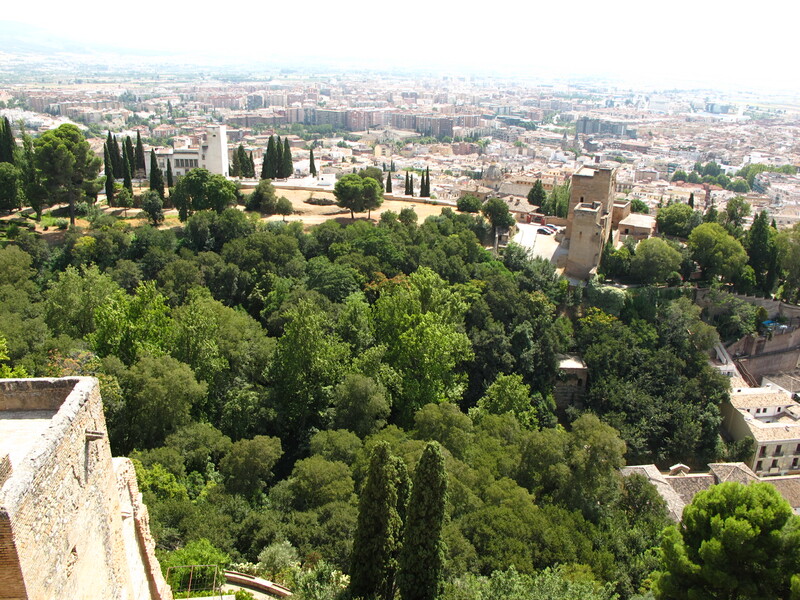 And though Granada has grown since the 14th century, even back in the day I imagine the Alhambra served as a green oasis in the middle of an urban area, like a Central Park for Muslim royalty. After I saw La Sagrada Familia I felt like seeing another cathedral would be like climbing a mountain after summiting Everest. Fun. Cute. But really? After the Alhambra, I’m pretty sure I’ve visited the pinnacle of Moorish architecture. But with little else to compare it to, I might need to visit a few hundred more just to make sure. When I get that chance, you’ll hear about it. 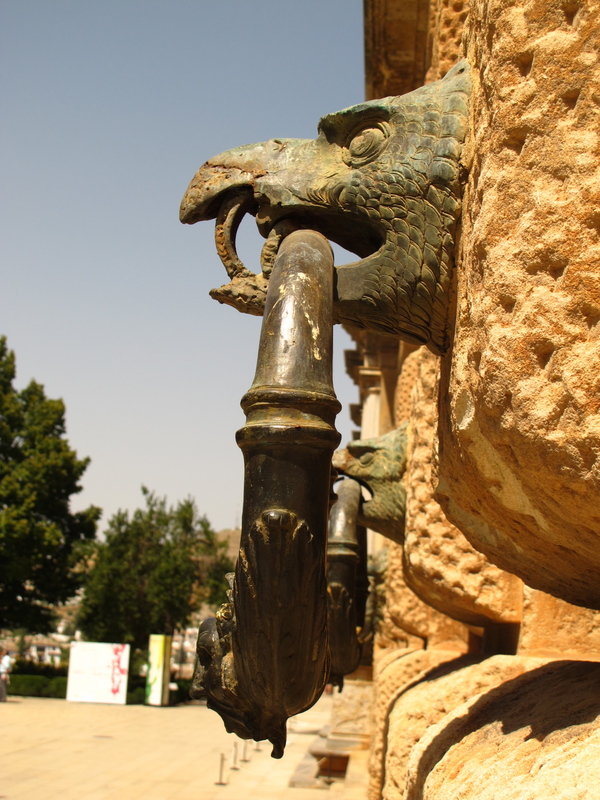 This entry was posted in Granada, Spain, The Alhambra and tagged Granada, I neglected to talk about how far I had to walk to get here and how steep the hill is, Moorish architecture, Spain, The Alhambra. Bookmark the permalink. If these are you bad pics, this really MUST have been gorgeous! This looks so much like Marrakech – Have you been there? I haven’t! Morocco is on the top of my wish list though. No, can’t imagine what it takes to create a place like that. And can’t imagine dusting it, either.